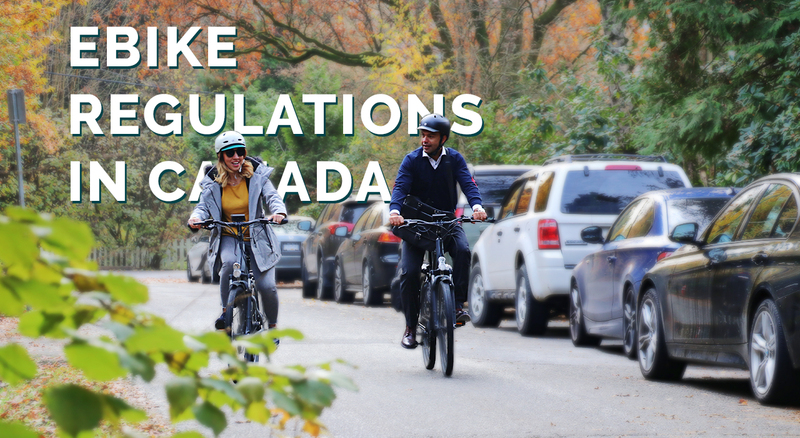 Vancouver is a great city for cyclists of all kinds. There are plenty of bike lanes to get you across the city or, if you prefer, through park trails for a leisurely ride. 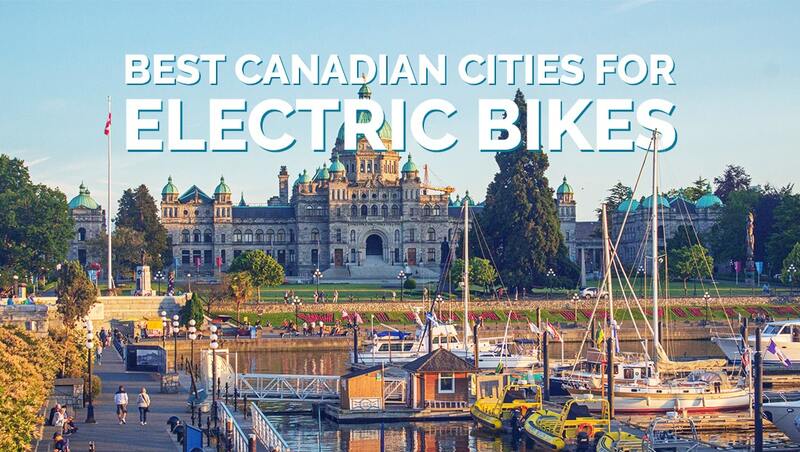 With an electric bike you get all the benefits of a regular bike but with an added motor to assist you – perfect for Vancouver’s infamous hills. 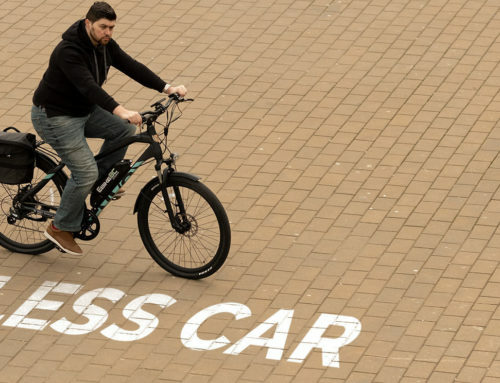 E-bikes are becoming more popular these days and for a good reason. They are great for speed, fitness, and commute. 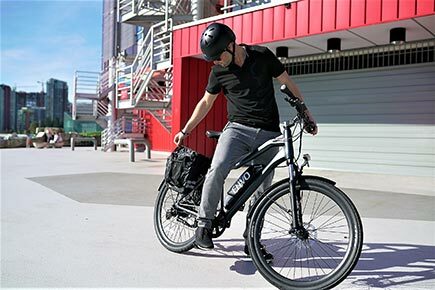 If you decide now is the time to buy an electric bicycle to either commute to work or to take on the mountain trails, take a look at the ENVO D35 27.5 as it’s a great all-around electric bicycle at an affordable price. Designed in Canada by our local engineers, it has an aluminum hydro-formed frame and integrated sleek design, making it extremely ergonomic ride together with its adjustable handlebar stem. 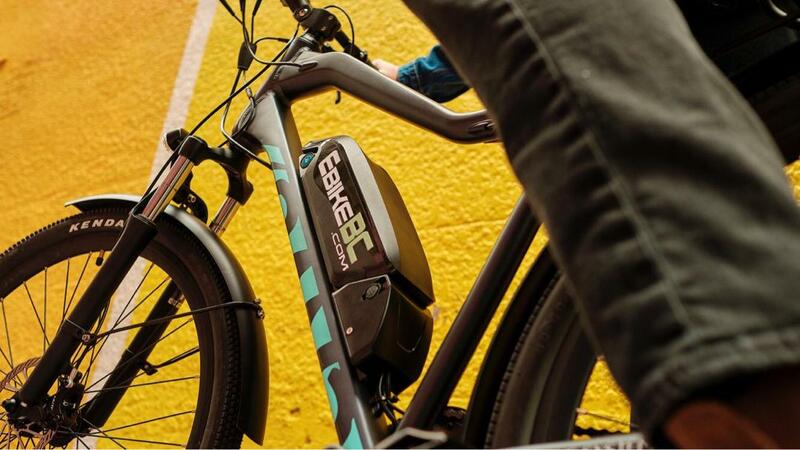 When shopping for an electric bicycle, one of the most important things to consider is the battery, and with ENVO D35, you get grade A Li-ion battery pack made by Samsung with an average of 40-80 km range per charge. With the Samsung battery, you get maximum 500 watts of power with a top speed of 32km/h which is the limit as per North American government regulations. The battery will give you between 500 and 1000 charge cycles, depending on the usage it will last you between 5 and 7 years. The ENVO electrical assist bike has all the high-end components including hydraulic disk brakes, 27.5” x 1.95 wheels, and LCD interface, but at a much lower cost than its competitors. It has shock brakes on both the front fork suspension and seat for a smooth ride. It weighs 21 kilograms and is 25% lighter than similar e-bikes. 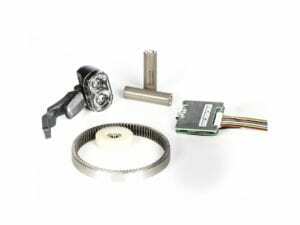 The combination has been engineered to minimize road vibrations for a smooth ride, for both urban commuting and fast-paced trail riding. 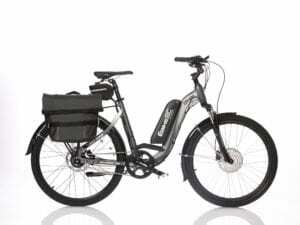 LED headlights, rear cargo rack, and metal fenders are some of the extras you get with the ENVO E-bike at no extra cost. 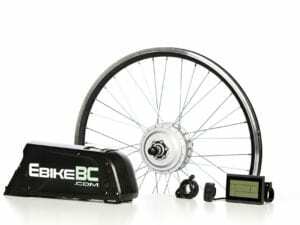 Lastly, you get up to a 2-year warranty with EbikeBC or any local Canadian EBikeBC supplier which can give you peace of mind for hassle free riding for years to come. 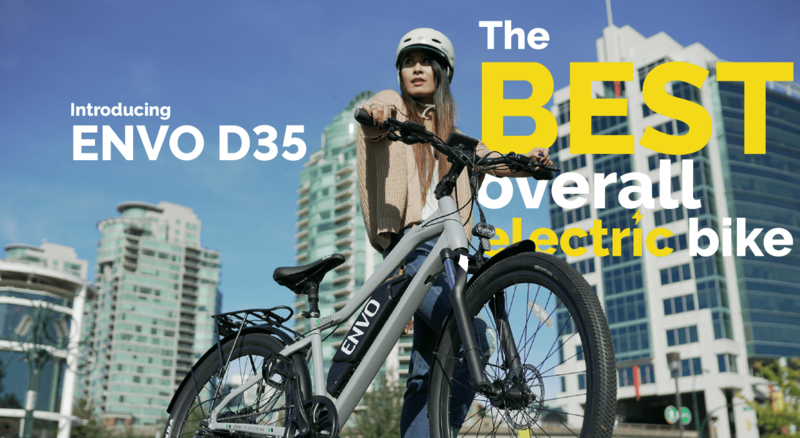 If you’d like to buy an ENVO D35 you can either shop online or in Vancouver store or EbikeBC’s dealers across Canada. If you have any further questions, feel free to reach out to our experts and we’ll be more than happy to assist you.